As is customary, we began by speaking of the postural system from the point of view of the profile. Thanks to the profile view we have been able to describe in detail the process whereby the skull remains in alignment on the last cervical vertebra, supported by the jaw. We have also seen how visible anomalies of the profile are those generated by the aggravation of the physiological curvature; I refer to a cervical lordosis, thoracic kyphosis and lumbar lordosis. 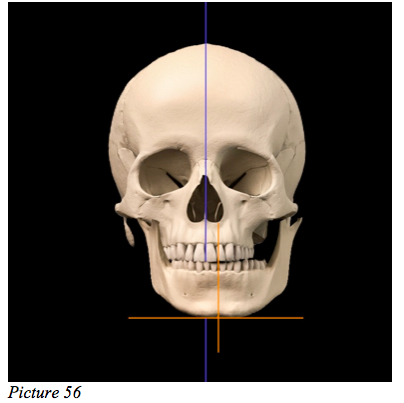 Having described the process of the sinking of the skull and its consequences from the point of view of the profile, we can deal with the problematic from a frontal point of view. Looking at the individual from a frontal point of view, we can observe other kinds of alteration: lateral deviation and lateralization. 1) Lateral deviation: a lateral deviation of the mandible, or of the jaw, (both terms are used) can be defined as the change of the inclination of the skull in relation to it, at the point where there is a lack of dental height. 2) Lateralization: Lateralization of the mandible can be defined as its shift to a point which can be either to the right or the left of the skull, until finding stable contact. It must be said that in lateralization the skull does not change its inclination, but has merely a horizontal displacement. In any case, either lateral deviation or lateralization causes, in descending fashion, musculoskeletal problems throughout the entire body which result in pathological symptoms. A series of problems can be observed that can range from dysfunction of the temporomandibular joint to neck pain to problems with the first cervical vertebra, scoliosis, pelvic rotation, misalignment of the shoulders, poor arch support, etc. At this point it is understandable how postural problems arise. 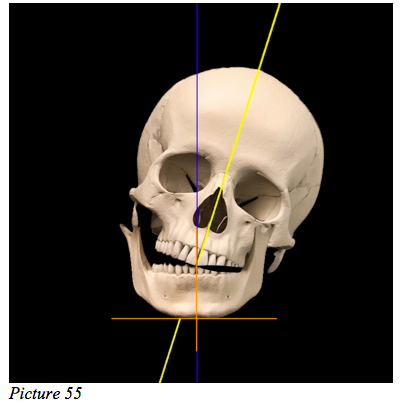 We are able to better understand the reason for displacements of the jaw in respect to the skull and their consequences that have repercussions throughout the entire musculoskeletal system. I ask your indulgence for a few pages while I consider a very important subject: symmetry. In this regard, we have seen that, in profile, it is very important to have a straight back with a curvature of the spine that reflects physiological harmony. In this case the concepts of beauty and harmony go together with those of health, ecology, productivity and performance. From a frontal point of view this simple concept applies likewise.